MOSCOW, September 30. /TASS/. 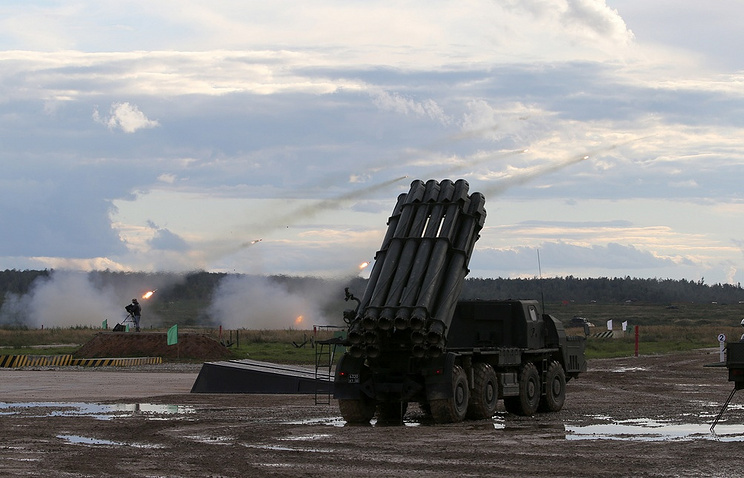 Russia’s new drone, to be launched atop projectiles of the Smerch multiple launch rocket system, will be able to pierce the adversary’s air defenses more easily, Russia’s expert on unmanned aerial vehicles (UAVs), Denis Fedutinov, has told TASS. Russia’s Tecmash defense enterprise, which specializes in development and production of ammunition for the Russian armed forces, announced on Saturday that it started flight tests of a new UAV, propelled by Smerch rockets. The drone, which replaces the rocket’s warhead, can cover the distance of up 90 kilometers atop the rocket, then separate from it and continue its flight independently. "The main advantage of such a drone as compared to other low-speed UAVs is the higher chance of penetrating the adversary’s air defense systems. The drone will cross antimissile barriers inside a projectile of the multiple launch rocket system, which, due to its speed on one hand the possibility of being launched in a salvo of ordinary projectiles on the other, will make it a difficult target for missile defense systems," Fedutinov said. He said the main task of those UAVs will be to conduct aerial survey of ground targets within the range of multiple launch rocket systems. "The aim of this surveillance will be to evaluate the efficiency of target destruction and to adjust the fire," the expert added. According to Fedutinov, the idea of creating a rocket-propelled drone "emerged long ago, maybe even in the 1990s" and has since resurfaced on a regular basis. "At the same time, implementation of the project required serious investment by the Defense Ministry, which was not provided at the time," he said. According to designers, the unmanned aerial vehicle, which is now undergoing trials, will be able to conduct aerial survey at the height of up to 500 meters, for a period of up to 20 minutes. It will cover an area of 25 square kilometers.